Reddit CEO Apologizes Days After User Revolt Over Firing Of Popular Figure : The Two-Way Ellen Pao said the company had "screwed up ... over the past several years," leading up to the way it handled the dismissal of Victoria Taylor, the key figure in the r/IAmA section. The popular reddit question-and-answer section /r/IAmA, along with hundreds of others, has shut down in an apparent protest over the dismissal of a key figure at the social sharing site. Reddit CEO Ellen Pao has apologized to users of the popular website reddit, citing a "long history of mistakes" that resulted in an insurrection last week in which moderators shut down many of the site's most popular sections to protest the dismissal of a key figure in the site's popular r/IAmA section. "We screwed up. Not just on July 2, but also over the past several years. We haven't communicated well, and we have surprised moderators and the community with big changes. We have apologized and made promises to you, the moderators and the community, over many years, but time and again, we haven't delivered on them. When you've had feedback or requests, we haven't always been responsive. The mods and the community have lost trust in me and in us, the administrators of reddit. "Today, we acknowledge this long history of mistakes. We are grateful for all you do for reddit, and the buck stops with me." Pao announced three steps: improved tools and search and a new moderator advocate. The apology stemmed from the dismissal last week of Victoria Taylor, famous for her role in the r/IAmA (Ask Me Anything) section, which drew actors, musicians, President Obama and even NPR reporters to answer questions submitted from the vast community. Taylor's role, as NPR's Steve Mullis reported Friday, "was often organizer, mediator and even transcriber for many of the AMAs." 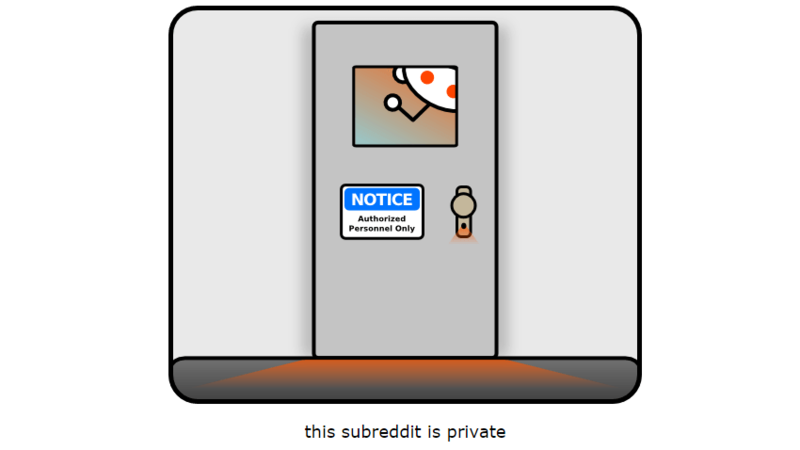 Steve reported that Taylor's sudden departure prompted "moderators of r/IAmA [to] set the section to 'private,' effectively closing it to anyone but the moderators. Once word of Taylor's firing began to spread, moderators of other popular sections (called subreddits) that cover movies, science, gaming and a host of others, also went private, making much of reddit essentially useless to regular site visitors." Reddit has not publicly said why it let Taylor go, and Taylor herself has been mum on the reasons for her departure. Many comments on Pao's reddit post today called for her resignation. "You've lost our trust. You've lost our input," user RedditAckount wrote in part. "You're on your own." CNN reported an online petition calling for Pao to resign also had 156,000 signatures by Monday. Reddit, which is commonly known as "the front page of the Internet," has more than 160 million monthly visitors.